The Gung’l's ancestors were of Austro-German origin. They had emigrated to Zsámbék, near Budapest in Hungary and were originally hosiery workers. 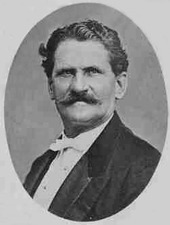 Of the family three were musicians: Josef Gung’l (1809-1889), his nephew, Johann Gung’l (1818-1883) and Franz Gung’l (1835-1905), though little is known of the latter, save that he became a bandmaster. The most famous was Josef, who was a personal friend of Johann Strauss Sr. He was regimental bandmaster of several military regiments and introduced stringed instruments into his concerts in Graz. He formed his own orchestra and made his first concert tour through parts of Austria and Germany, ultimately arriving in Berlin, where he became the resident conductor at Sommer’s Salon on the Potsdammerstrasse. Josef’s concert activities mirrored those of the Strauss family, giving concerts in such places as Hanover, Hamburg, Vienna, London, Manchester and Amsterdam. He was Johann Strauss Son’s immediate predecessor in Pavlovsk, conducting the summer seasons there for several years. He also visited Moscow, as well as Stockholm and Copenhagen. In Vienna he performed at Dommayer’s Casino and at Sperl’s. Josef Gung’l wrote over 400 works, the most famous of which, Träume auf dem Ozean (Dreams on the Ocean), he wrote on the ship whilst en route to the USA in 1848. The SS Washington stopped off in Southampton, where he and his men gave a concert before the US Consul. Whilst in the USA he performed at the Inauguration Ball for President Zachary Taylor on 5 March 1849. During his visit he gave concerts in the Astor Place Opera House, New York, at various venues in Boston, as well as Carroll Hall in Baltimore, returning to Berlin in the summer of 1849. Amongst other famous waltzes he wrote were Amoretten, Die Hydropaten, and Casino-Tänze. Josef’s second daughter, Virginia (Naumann) Gung’l, born in New York at the end of December 1848, was a talented opera singer, a prima donna on the stages of Munich and Frankfurt who took care of him in his old age. Johann Gung’l formed an orchestra in 1845 with which he also toured Europe, spending time in England, Scotland, Denmark and Belgium. He, too, performed at the summer seasons in Pavlovsk, but he disbanded his orchestra in 1848 and became a violin-virtuoso in the Tsarist-Russian Court Orchestra. Johann also gave garden concerts at Kroll’s Wintergarten in Berlin and, in his uncle’s absence, took over the concerts at Sommer’s Salon. He later returned to Hungary, where he died at his home in Pécs in 1883. His best-known work is probably the Vorwärts! Marsch (Onwards! March).